EYE.T | Data by Design | EYET Extend your Business Anywhere with Information at Your Fingertips at All Times. One of your organisation’s most important asset is what you know about your customers. Keeping track of all that information in one place is a challenge we have met. At worst, it’s a confusing array of legacy systems overlaid with Excel spreadsheets, Word documents, Outlook contacts, and piles of paper. And today many of your customers key contact details are being carried around on your and your staffs’ mobile phones and held devices. The relationship often bypasses the front desk and goes straight to a sales or support staff who walks out the door each night with your customers in their pocket or bag. Wasting time chasing down your business data? You gather and share information using a manual process so it’s slow, inefficient and prone to data entry errors. When you and your staff leave the building you leave your data behind. Your information is stored in separate systems across different platforms which cannot communicate with each other, or in multiple spreadsheets, or exists only on paper. You’ve looked for a packaged application but it doesn’t do exactly what you want and it doesn’t support desktop computers, iPad and iPhones, Android devices, web or network access. EYET CRM allows users to efficiently manage areas including contacts, calendars, tasks, document storage, correspondence, sales opportunities, estimates, work orders, invoices, payments, inventory, time tracking, projects, reports and dashboards. In addition, it is pre-programmed to exchange data with 3rd party applications such as Outlook, QuickBooks, Apple Address Book, iCal, PayPal and Authorize.net through the use of optional add-on FileMaker Pro plug-ins. EYET is built with a “your data anywhere” philosophy by providing users with access into the EYET system through the use of a FileMaker Pro client, FileMaker Go on the iPad, or from a web browser on any device including Android and Microsoft tablets and phones. Specifically designed to handle both individuals and organisations and their relationship to each other. This cross-linking functionality allows you to see everyone that is associated with an organisation and their roles. This flexible module allows you to track your sales process from initial contact through to invoiced customer. Sales opportunities can be linked to individuals, companies or both. Quickly generate multiple related opportunities. Create and track inventory, including items, sub-items, reorder levels, quantity on hand, etc. Supports kits and inventory assemblies. Track all data for your Purchase Order processes (suppliers, customers, items, status, etc.). Generate and send invoices; receive and track payments, including multiple payments across multiple invoices. Optionally interface invoice and payment data with QuickBooks using our FM Books Connector. Track every contact with your prospects, customers, and employees: phone calls, emails, and meeting notes. Easily send email marketing campaigns and HTML e-communications using our Outlook Manipulator. Secure document storage and checkout management means everyone has access to the information they need and no one can overwrite another user’s updates. 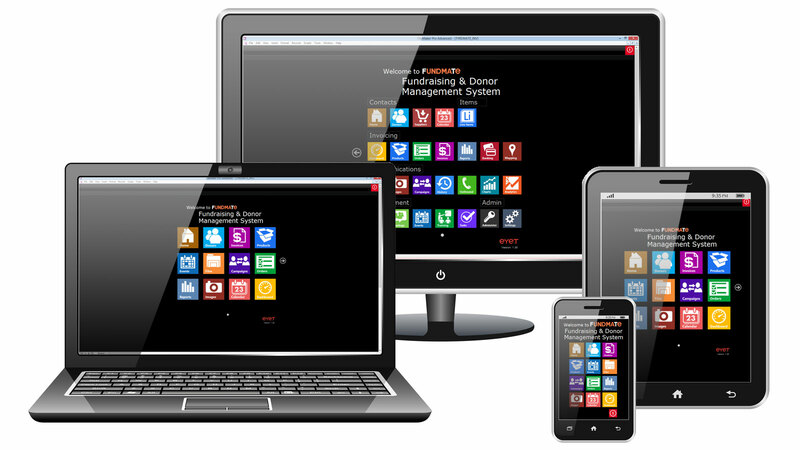 Store or link to Office apps, music, video or images within the system or across your network. Individual and overlapped group calendars provide insight into one-off and repeating events or meetings. Easily define projects, tasks, roles, events and assign them to individuals or groups, with at-a-glance status views and automated reminders to keep everyone on track. EYET can connect live to MS SQL Server, Oracle or MySQL data sources. This builds a live two-way link between EYET and SQL data sources with the benefits of; streamlining sales processes, better reporting, enhanced workflows between departments and more granular information. Whether you need PC or Mac EYET works seamlessly on all platforms, including iPad and Android devices for users at remote locations. Users can access EYET from any computer or device with a web browser or increase speed across a wide area network. Knowledge leads to design, design leads to performance, performance leads to success! EYET software provides business management of all customer touch-points and opportunities, from external interactions with your customers to internal project management, communications, through stock control, orders and invoicing. Featuring comprehensive reporting and a live dashboard help you to easily view and track your business's health and the options that are most important to you. EYET can provide you with a fresh start incorporating all of your existing data into our platform or we can overlay our system onto your back end. Using EYET’s development services, you can customise and expand modules and features within the EYET user interface. Adjust and adapt to the growing workflow and project demands. Our team of experts work with you to provide seamless installation, setup and configuration. Plus, all of our solutions include 28 days of free training/support. Windows® 7/8 | Mac OS X 10.6-10.9 | Application: FileMaker® Pro 13/14* | Plug-in specs may vary | * FileMaker Pro comes bundled with some of our EYET subscription packages. Over the past couple of decades we have worked with companies large and small, on a short and long term basis; helping extend businesses anywhere with information at their fingertips at all times. PC, Mac, iPad, tablet computer, or smart phone, over a WAN or across the Internet. One of our early projects was with Merrill Lynch, we were commissioned to create an interface between two disparate data silos on separate platforms and could not share the data with the master file. We used FileMaker as the conduit to link these data silos initially until a more permanent solution could be adopted. That temporary FM file remained in place for many years. The ACTU (Australian Council of Trade Unions) had been looking for a way to consolidate data for a few years. All solutions that the internal IT team had looked at were too large and or too expensive. We approached ACTU with a FileMaker solution and had 12 months to analyse, design and implement a solution before handing over to the internal team. FileMaker templates accelerated development we then created new tables, relationships and user interface to cater for all of the numerous data sets that existed within the ACTU. EYET’s involvement lasted a bit more than 12 months before handing over. 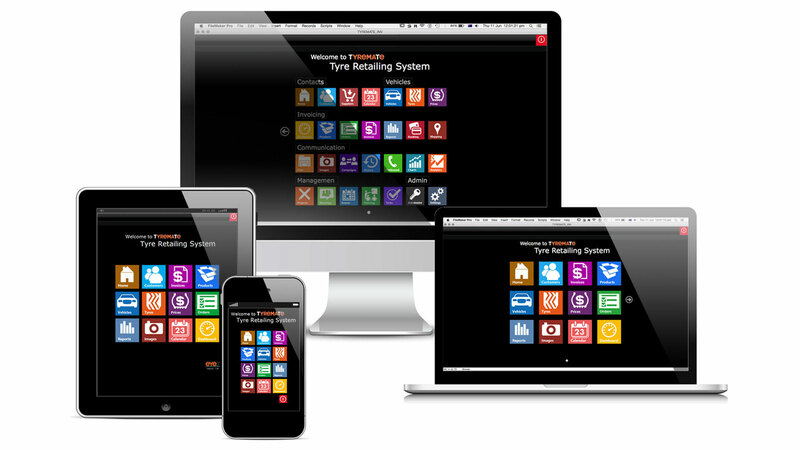 We have been working with the Tyrepower Retail Group for over 10 years developing several core systems. The primary system manages the sale to fleet customers across their 260+ stores via a wide area network. The system interfaces with a number of external databases via SQL and FTP protocols transferring the appropriate transaction data in either real time or via batch files. The system also manages the training of store staff and interfaces with Moodle. Development started under FileMaker Pro 6 and has progressed through subsequent releases taking advantage of the new features in each release. We also work with a major advertising group Salefest for 10 years plus. Initially replacing an Access database providing job, media and invoicing functions. This has expanded to include separate data files for Contacts, Open Jobs, Promotions, Media, Purchase Orders, Quotations, Campaign Schedules, Reports and Time Sheets. The interface has been changed to reflect the Windows 8 environment in which they work. A second system was developed that maintains the customers of their customer’s details and sends HTML email. This FileMaker system records in real time email bounce rates, undelivered, openings, unsubscribed, links opened within the email all linked to both the campaign and the email recipient. At the peak the system was sending and managing 400,000+ email sends per month. 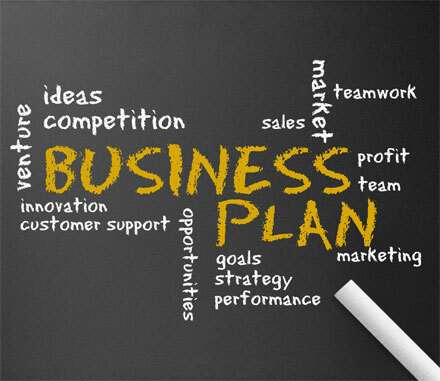 THE MOST FLEXIBLE BUSINESS MANAGEMENT SOFTWARE ON THE MARKET TODAY! As EYET we have been providing software solutions and implementation expertise since 2006. 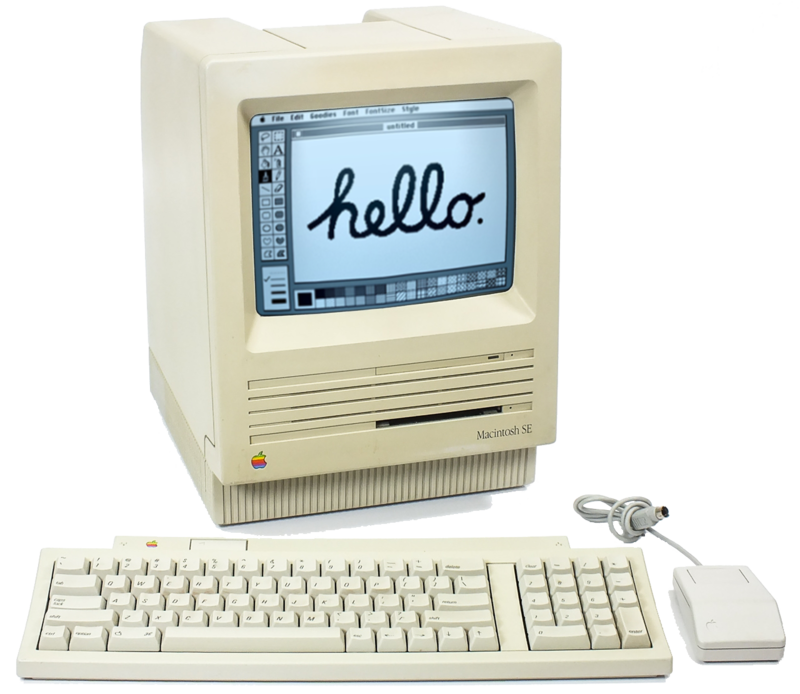 However, under other business names we started working with data in 1989 when Claris software purchased FileMaker from Nashoba Systems and quickly released a rebranded version called FileMaker II (2). 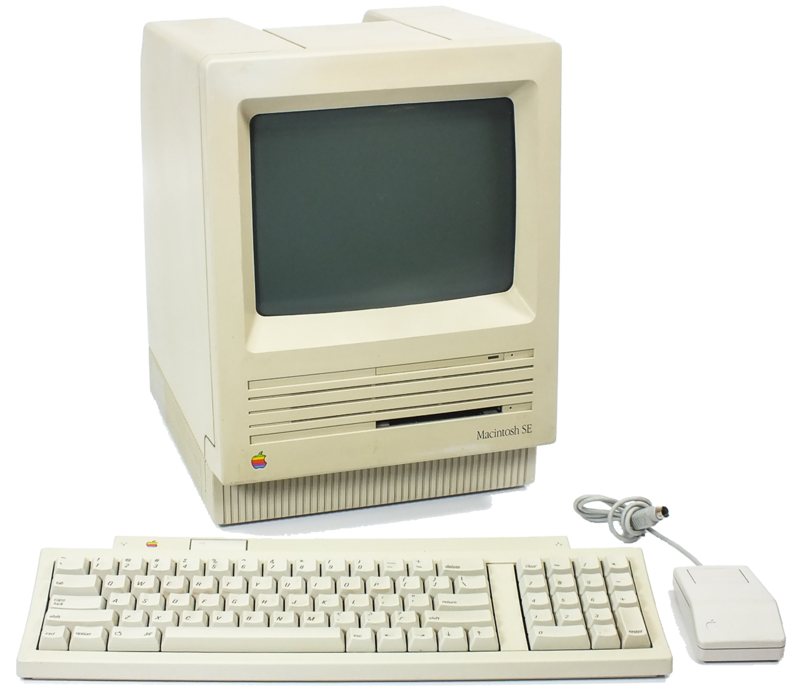 The software came bundled on our the new Macintosh SE30 we lashed out and bought the top specification at the time 4MB RAM, 80MB hard disk and paid US$6,700 each for four machines. We initially used the SE/30’s to analyse data from our clients including one of the large banks in order to better profile their customers. We have progressed through all versions of Filemaker to the current FileMaker Pro 14, but still have copies of all software sitting on the bookcase, as is one of the original SE30’s. FileMaker is now an Apple Subsidiary, therefore it answers the question often raised by customers who is FileMaker and why should they trust their business to it? 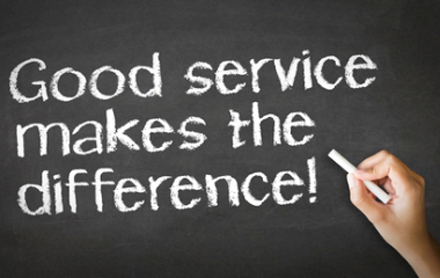 EYET prides its self on our ability to understand the needs of our customers in order to provide the right solution to help you become more efficient and lower costs. We work with you to provide the options best suited for the future of your business and can efficiently customise our modules to give you a perfect fit. We strive to tailor each project to the specific goals of each customer providing a solution that you can run on your preferred platforms. We’ve been running an EYET system for over 8 years and it has not only grown with our needs, it has been the most reliable system in our network! We needed a solution that could work across our LAN and adapt quickly to both our staff and our client’s needs and do so at low ongoing costs. From the dawn of civilization until 2003, humankind generated five exabytes of data. Now we produce five exabytes every two days…and the pace is accelerating. For further information please complete the form at right and include a brief description of your business so that we may send you information that is relevant to your market sector.